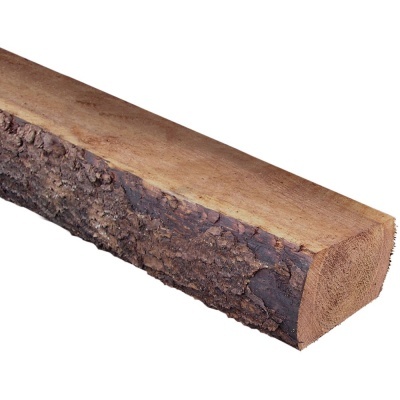 Zest 4 Leisure Rustic Sleeper 1.2m offers a single length natural barked garden sleeper suitable for either building raised beds or decorative border edging. Attractive rustic sleepers are sawn cut on two sides with the barked finish on the other visible facing sides. FSC Certified timber sourced in the UK and pressure treated for longer life. Single sleeper supplied. Also available in 2.4m lengths (ask for availability).